In your social work training, you face difficult challenges and hard choices every day. You need access to cutting edge ideas, current information, high quality resources and informed people. The National Association of Social Workers is your connection to these ideas, information, resources and people… and your connection to a wide variety of services, custom- tailored to help you achieve your full potential as a social worker. Here is what you can expect when you join. Vigorous lobbying for our collective interests in state and federal government NASW works to eliminate potentially harmful bills that limit social workers’ ability to perform their jobs. They also work to protect social workers’ jobs, lobby for equitable reimbursements, and to educate legislators about the importance of the social work profession. Leadership development Social workers who desire to advance their careers can find an abundance of opportunities and resources in our association. If you have no desire to work in a leadership position, please join anyway, we will all benefit. Job opportunities Members have access to the national job bank information. Searches can be personalized and information can be accessed quickly. Humanize the system By joining others of similar values, we can collectively work toward making our political, healthcare, and social systems more responsive. 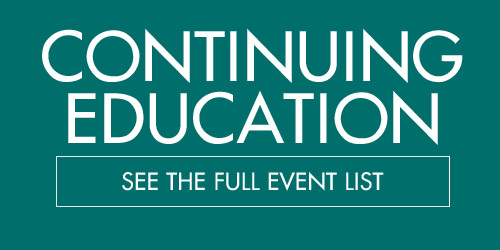 Continuing education Members are offered discounts at all NASW sponsored continuing education seminars and at our annual conference. Many Branches offer free continuing education opportunities at their meetings. Networking opportunities NASW activities provide an excellent opportunity for social workers to share ideas and information with seasoned peer specialists. In addition, members can meet with suppliers, potential employers and agency representatives at conferences. Primary link to work related information Local and national newsletters link members with job opportunities, information to help manage a private practice, professional support, and continuing education opportunities. Members also receive the Social Work Journal, connecting them to the latest research in the profession. NASW offers very affordable comprehensive malpractice insurance for members. For more information on insurance coverage please contact NASW Commercial Partners. They can also be reached at 1.855.385.2160. NASW affinity credit cards, member discounts on rental cars and other financial services (See NASW Commercial Partners at www.naswdc.org). Members can enhance their skills and strengthen their resumes by earning the Academy of Certified Social Workers (ACSW) national credential, as well as the Diplomat in Clinical Social Work (DCSW), the Qualified Clinical Social Worker (QCSW) and School Social Work Specialists (SSWS). Come join us and enjoy being a part of a community of committed people who share your values and want to make a difference! We all chose social work for different reasons, but as you will learn social work is not a 9 to 5 job and your commitment to social justice does not end when you leave work. Social work is more than a major, more than a job, more than a career – it is who we are! If social work is a commitment to the greater good then why not, as students, continue to be part of your professional association – NASW? Employers want to see commitment to the field and being a member of NASW is the way to show your commitment. Everyone in your class is graduating with a degree and at least one field placement. Start answering the question, why should someone hire you over anyone else? Find that answer with NASW membership. As a student, you will get access to full membership benefits to NASW and NASW-AR at almost 1/4th the price! Building your resume? Build it with NASW! Take advantage of one of numerous opportunities for leadership development as a NASW-AR Board student representative , committee member, or volunteer at the local, state, or national level. Lower prices for students on NASW-AR Conference registration fees! Conferences are a great way to gain new practice skills and information, as well as network with other students and social work professionals from all across Arkansas. Join a community of professional social workers to build relationships, network professional contacts, and exchange ideas by participating at a local or state level. Get recognized for excellence with one of NASW’s scholarship programs or award programs. Concerned about your future after graduation? Take comfort in NASW! Get access to NASW-AR Social Work Career Center plus only NASW members get full access to NASW JobLink to post resumes online and get notified when new listings are posted. Even if you are not going into private practice it is important to have liability insurance. Agencies often offer some liability insurance, but at the end of the day the agency has its own back. NASW members receive significantly discounted liability insurance through NASW Assurance Services, also available at the student level. Educational debt is one of the greatest concerns facing the social work profession because it deters people from entering the field and makes public service careers less desirable. NASW has been working to secure student loan forgiveness legislation for social workers for many years. After graduation, NASW continues to subsidize dues for student members. If you maintain continuous membership, you will be able to take advantage of the transitional category of membership after graduation. BSW student members who maintain continuous membership after graduation automatically enter a two-year transitional period with reduced dues of $94 each year. MSW student members who maintain continuous membership enter a three-year transitional period with reduced dues of $94 in the first and second years, and $143 in the third. Taking a stand for social justice? Stand with NASW! Learn about today’s legislative issues that are impacting the social work profession through email listservs, newsletter articles, and websites for the National NASW and for the Arkansas Chapter. Get involved with NASW-AR PACE, helping to elect candidates and mobilize social workers to vote! Attend NASW-AR’s Lobby Day and join hundreds of students and social workers from around the state in an expression of the POWER of SOCIAL WORK! 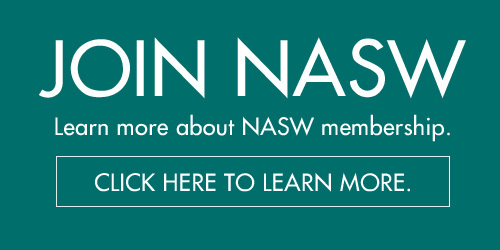 Join today to take advantage of all of the benefits that NASW has to offer as a member. To provide flexibility in paying member dues, NASW can accept your payment in three installments, in advance of your renewal date. If you choose to send a partial payment with your first notice, your subsequent notices will reflect a credit and a remaining balance. This option is not available online. Installment payments may be sent by mail to PO Box 79949, Baltimore, MD 21279-0949 or by calling NASW Member Services at 800-742-4089, Mon-Fri 9 am to 9 pm ET.